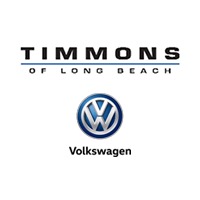 Why Buy the VW Passat from Timmons Volkswagen of Long Beach? At Timmons Volkswagen of Long Beach, you’ll be impressed with our vast inventory of VW cars for sale, including the new Volkswagen Passat and the more compact VW Golf. Our sales team is dedicated to 100% customer satisfaction and will work with you to find the best car for your needs, along with a finance plan that fits into your budget. Apply for financing online today to get started, then schedule your test drive at our Long Beach Volkswagen dealership! We’re located at 3940 Cherry Avenue in Long Beach—not far from Huntington Beach, CA. Not sure what to bring with you when you visit us to pick up your brand-new Volkswagen? We have you covered!